Today was an exciting day, it was the day we’d all, especially me, been waiting for, for close to a year. When we decided to book to go back to the Magic last September, it was so far into the future it didn’t seem real, but here we were, the day had arrived! The day was taken up with hubs at work, the boy playing on the X-Box (he was going to be having severe X-Box withdrawal symptoms for 3 weeks!) and me finalising work and finishing off scheduled blog posts. We also took our cat, Pumpkin to the cattery. She was less than impressed when she was tricked into getting into her cat box – and on her birthday too! Dad pulled up around 5pm to pick us up…hubs rocked up about 5 minutes later with some eventful news, our baby niece had been born that afternoon – his sister had given birth to a 5lb 9oz girl, four days early! She must have heard us when we said “please arrive before we go on holiday!”…sadly, we weren’t able to see her before leaving for Gatwick as mum and babe were still in the labour ward and no visitors allowed. We would Skype them though once we were in the states. With suitcases tucked into the boot, and a final check… money, tickets, passports…the drive to Gatwick and our long awaited holiday was about to begin! 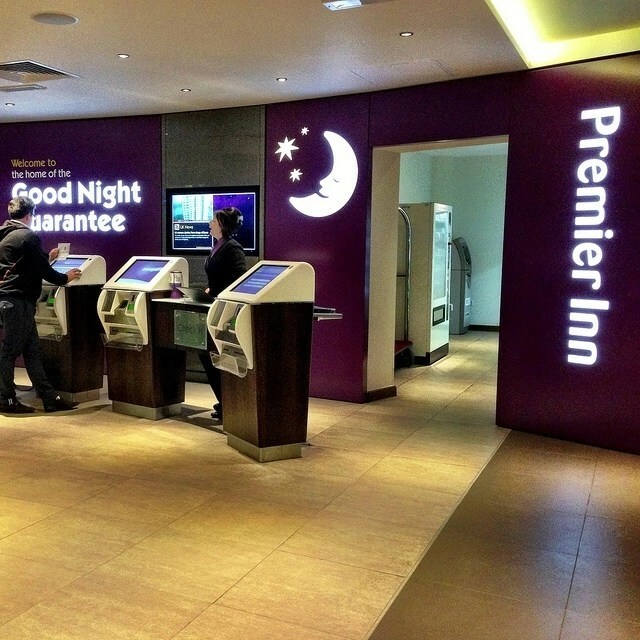 The drive to the hotel/airport went by without too much drama, a little traffic, but nothing to write home about and soon enough we were dropped off at the Premier Inn at Gatwick North Terminal. With a kiss goodbye to dad and details about our return flight, we headed into the hotel lobby to take the lift up to reception. The hotel is huge with many floors. Waiting for the lifts to go up and down was a bit of a mare, but once at reception, hubs went to the check in desks (which look like a self-service jobbie). He had already checked in online and only had to pick up our room key card. We had a standard Premier Inn room. £111 for a triple room with 2 adults for dinner and all of us for breakfast. That was £67 for the room, and the meal deal (dinner and breakfast) £22 each (kids ate free). Steve thought he’d paid for all of us to have dinner, but somewhere along the line things went skewiff, so we ended up paying separately for Liam. It didn’t matter though, it was cheaper than when we stayed at the Hilton for the night with dinner and breakfast the next day in the V-Room in 2011, so it was no big deal really. We also added 24 hour wi-fi access for £3…which turned out to be for one device only! For some unknown reason we hauled all our cases up to our room – I’m not sure why we did this as we’d only be hauling them right back down to do a bag drop in the terminal. Our room was your average hotel room – nothing fancy, and remember last report when I said that the Hilton was like a glorified Premier Inn? I stand by that remark! This room was just as good! So, after taking the above photograph, we schlepped all the way back to the lifts (typically we were right at the back of the hotel!) and over the road to the British Airways desk in Gatwick North Terminal to drop off our luggage. A lot closer than the walk from the Hilton at Gatwick South to the Virgin desk, but neither here nor there I guess, you can walk to both and that saves grief all round! We printed off our own luggage label strip things (which you attach yourself) and hoping that we placed them correctly, wheeled our cases over to the conveyor belt to have them weighed (we were all good, well underweight!) With luggage out of the way, it was back over the road to the Premier Inn for dinner in the Thyme restaurant. We had booked a time slot for the restaurant for around 8pm. It didn’t seem very busy, but we were standing around for a fair while before we were seated at our table. Our waiter had the personality of a wet fish and we waited ages for everything – drinks, the food, the bill…but it was nice enough grub and we were more than excited about flying to Florida in the morning that we didn’t let it concern us. As we had a meal deal, we could only pick from certain items on the menu. For starters we had deep fried mushrooms that came with two dips, chicken strips and a garlic flat bread. Hubs picked fish ‘n’ chips for his main meal, while I had lasagne and chips with a side salad. Liam picked a burger – which was to be the first of many, many burgers on this holiday! We asked for some ketchup and mayo which the waiter brought to us like this…a hidden Mickey before we’ve even touched down on Floridian soil! Liam was too full for dessert, but hubs and I indulged. He had a lemon meringue sundae and I had a caramel apple pie. Lovely! The bill was a total of £52.17 – our meal deal pre-pay brought it down in price, but then on top with the extras – Liam’s dinner and a few sides and drinks so we paid £25.09. After dinner, we retreated back to the hotel room. We passed a Costa Coffee counter near the entrance to the restaurant, but decided to just have a cuppa up in our room. After watching some junk on the telly it was ‘getting ready for bed’ time and trying to sleep through the excitement of Orlando the next day! Come Fly With Me – Gatwick to Orlando with British Airways « Coming Soon!